Thirty-four-year-old Adam Clark died on November 13 in a crash involving three vehicles. Police want to talk to the driver of a dump truck who they believe witnessed the crash. 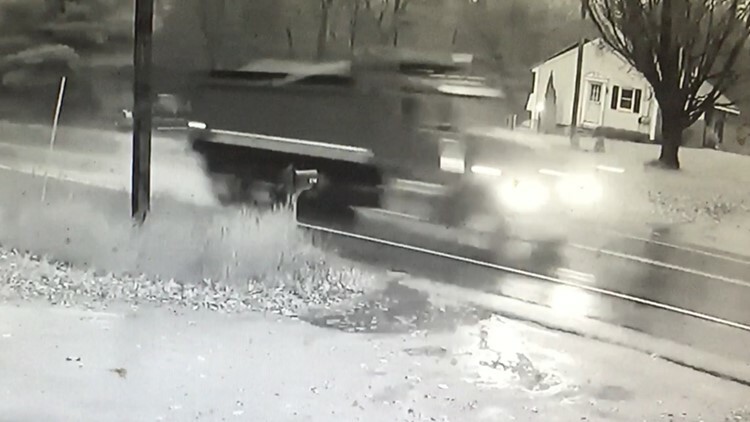 WINDHAM (NEWS CENTER Maine) — Police in Windham are asking for the public's help in finding the driver of a dump truck who, they believe, witnessed a fatal car crash weeks ago. Police believe the driver saw the crash that killed one man on Nov. 13 around 6:38 a.m. in the area of 149 Tandberg Trail, also known as Route 115. The crash included a flatbed tow truck, a tractor-trailer and a Toyota Prius. Adam Clark, 34, of Augusta, was driving the Prius and was pronounced dead at the scene. Police believe the tow truck crossed the center line, hitting both other vehicles. The dump truck pictured above, police say, was driving towards Standish and was directly behind the Toyota Prius driven by Clark. Police say the truck stopped for a brief time but left before Windham Police arrived at the scene. Police want to learn the identity of the driver and interview him as they believe he witnessed the fatal accident. Police are asking the driver to come forward to either Det. Paul Cox at (207) 892-1919, ext. 4417 or Det. Sgt. Jason Andrews at (207) 892-1919, ext. 4229.